Workshop at Humanoids 2015, Nov 3, Seoul, Korea. 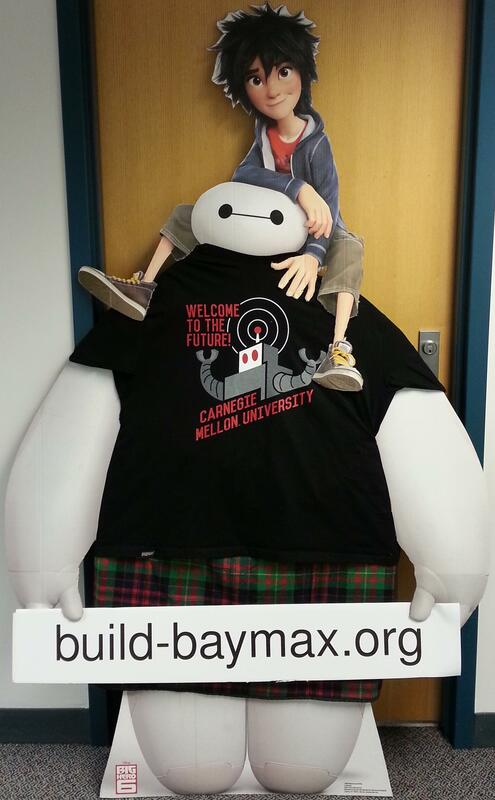 CMU is going to build a real Baymax. 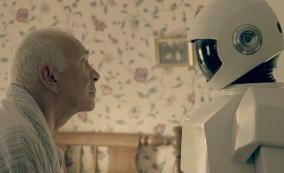 Or at least a useful personal health care companion robot. Carmel Majidi and Yong-Lae Park are leading the effort to build the body, forming a Center for Soft Materials and Machines. 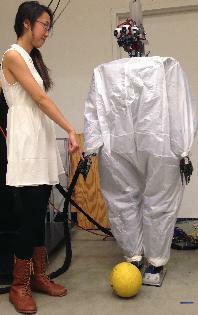 Sidd Srinivasa is leading the effort to build the brains, forming a Center for Assistive Robotics for Everyday Living (CARE). I am raising money and writing grants to pay for all this. Please help us support participation by students and others by sending us a donation. 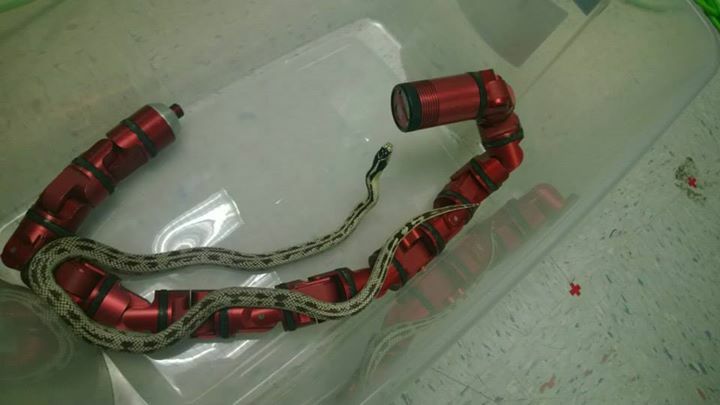 "Soft Robotics" is the label used for these donations. 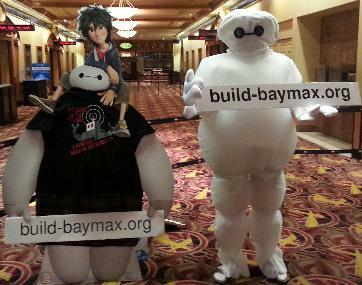 Pick your favorite photo with the URL build-baymax.org on it and post it to Facebook, Instagram, etc. 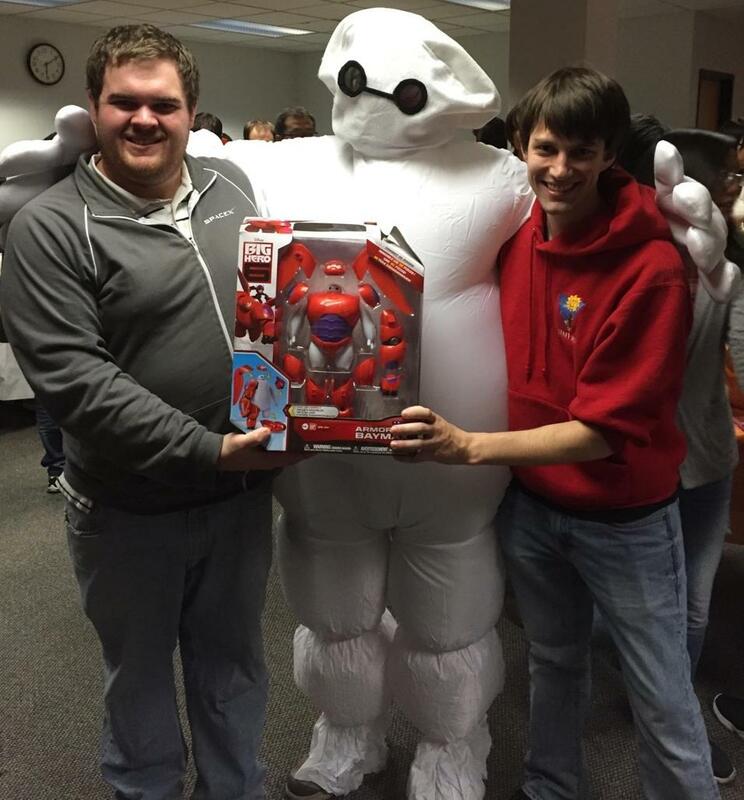 Why build an inflatable robot? Does Baymax need a skeleton? The inflatable robot Baymax in the movie Disney Big Hero 6 (BH6) was inspired by Siddharth Sanan's research on inflatable robots. (2011 press release) in the National Science Foundation (NSF) Quality of Life Technology (QoLT) Engineering Research Center (ERC) at Carnegie Mellon University (CMU) and the University of Pittsburgh (Pitt). 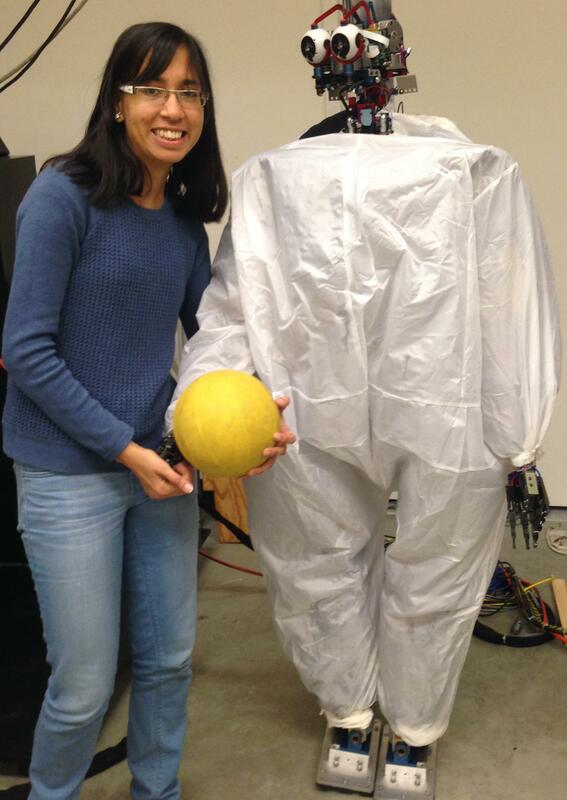 The DARPA Maximum Mobility and Manipulation (M3) Program supported work on soft robotics that involved Siddharth Sanan at iRobot and Otherlab/Pneubotics. 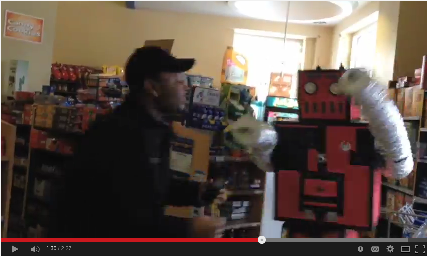 Here are the resulting videos: iRobot, Otherlab (see Siddharth at 31s into the video). 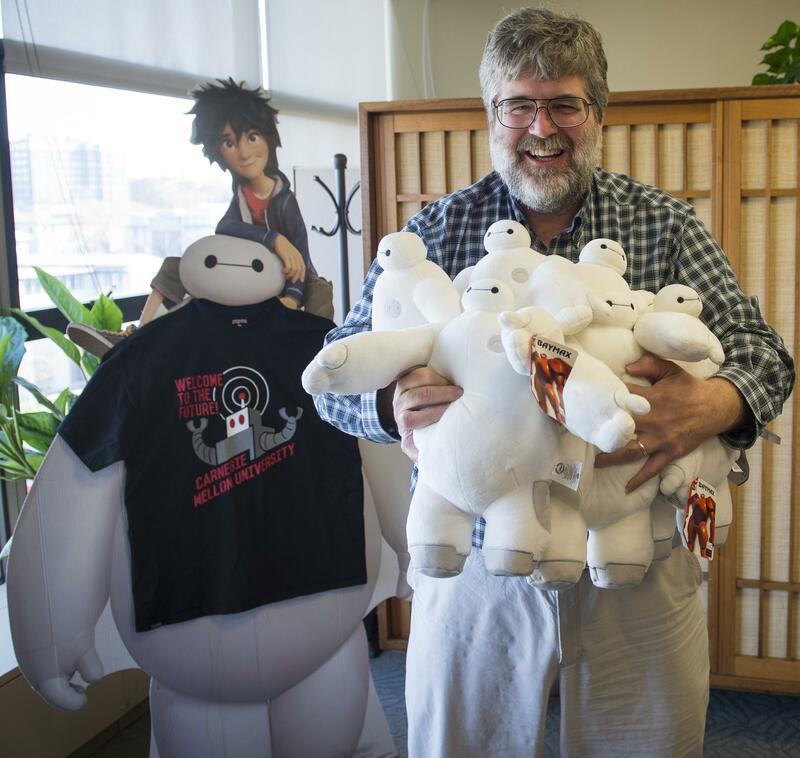 The idea of Baymax being a nurse/care robot came from Director Don Hall's exposure to the NSF QoLT ERC. 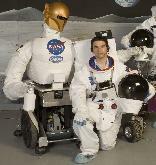 CMU and Pitt have been working together on nurse/care robots and environments for more than 15 years, including the Nursebot Project (NSF), the training program NSF Interdisciplinary Research Training Opportunities in Assistive Technology at CMU and the University of Pittsburgh, and the NSF QoLT ERC. In the 90s Atkeson was at Georgia Tech, working on caregiving environments such as the Aware Home as part of the Future Computing Environments Project. 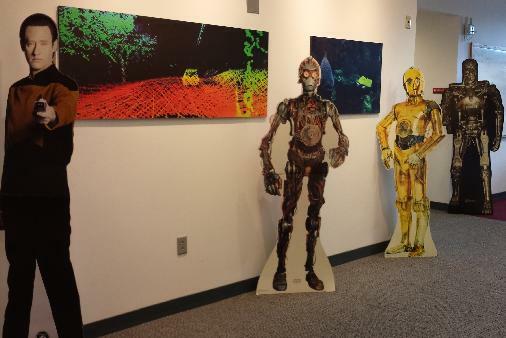 To honor Siddharth, the interaction of robotics and art, and the 35th anniversary of the founding of the Robotics Institute, The CMU IDeATe Program and the Robotics Institute sponsored the My Robot Friend: Photo/Video/Costume Contest. 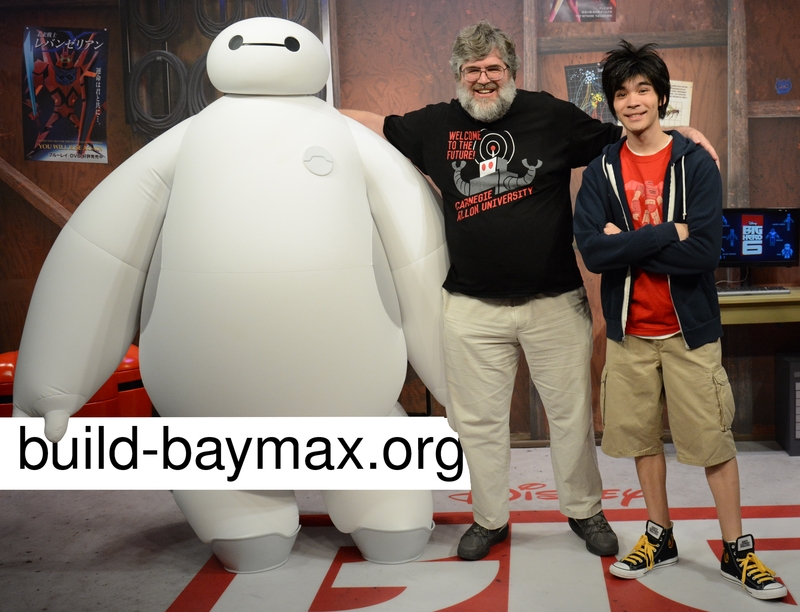 I sponsored the Take Your Robot To Big Hero 6 free ticket offer. 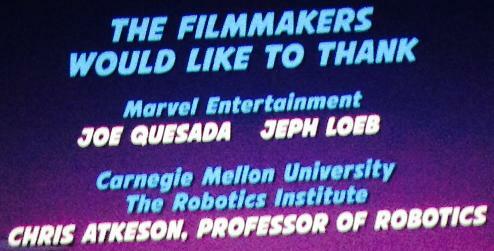 CMU's other connection to Big Hero 6 is that James Cromwell, who provides the voice of the professor, got a BFA from CMU in 1964. 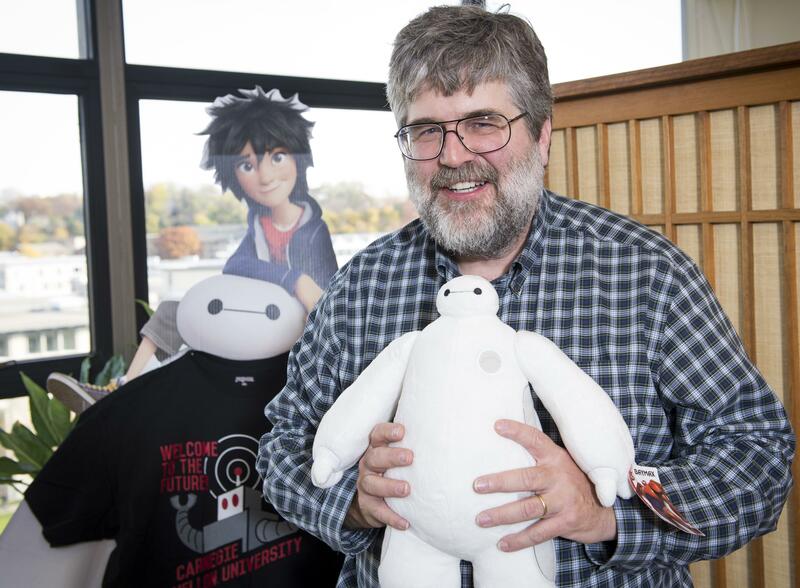 I also note that the Girls of Steel (A FIRST robotics team hosted by CMU) inspired aspects of the characters of Big Hero 6. 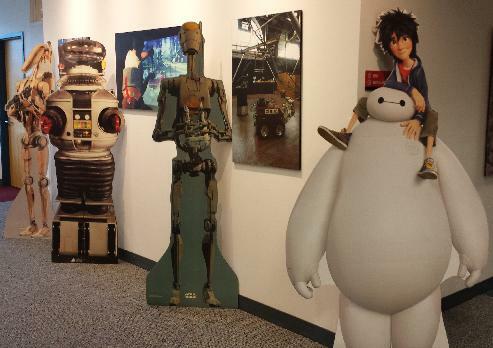 Image from Walt Disney Animation Studios. 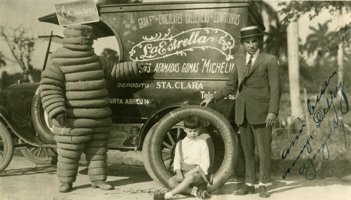 Can we build the body? Yes (except flying). This is discussed below. 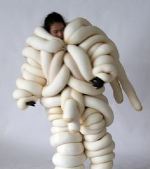 Inflatable suits (also known as Positive Pressure Personnel/Protective suits) are used to protect humans from contamination. 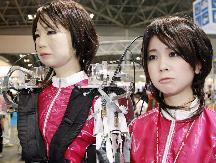 They can be applied to humanoid robots as well (see below). 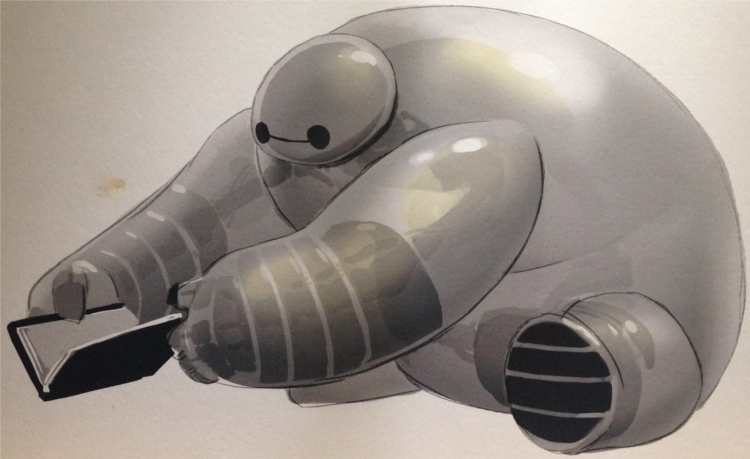 The armored Baymax is very similar to the space suits used in space walks, which can fly using jets, and protect the astronaut. I will leave the discussion of whether we can build a body that can fly on Earth as Baymax does to those who know something about jets and rockets. Can we build the brain? Not yet, but we are working on it. 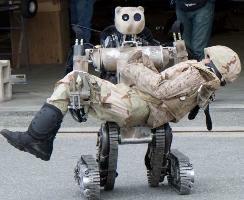 The DARPA Robotics Challenge, with the final tests in June 2015, will demonstrate where we are with respect to robot perception and robot brains. 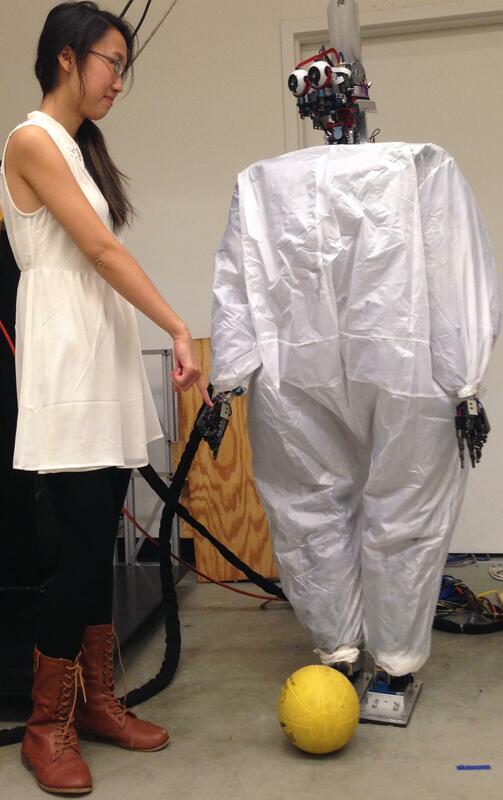 Can we build the social interaction involved in being a robot nurse? 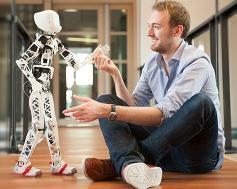 Not yet, but the field of Human-Robot Interaction is developing rapidly. Successfully interacting with people with voice, facial expression, and gesture is currently very difficult. 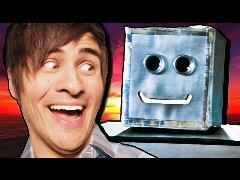 Why Build An Inflatable Robot? Mass Kills! My wife likes to watch TV crime shows, so I have learned about lots of ways to hurt people. People can be stabbed (sharp force injuries), cut with scissors (pinch points), hit (impact or blunt force trauma), and crushed (large masses or forces in slow motion). 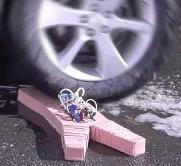 Soft robots can reduce the risk of all of these types of injuries. In terms of impact and crushing, mass plays a key role. Kinetic energy is proportional to mass times velocity squared. 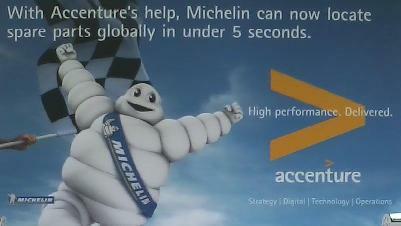 Momentum is proportional to mass times velocity. Potential energy is proportional to mass times height. Gravitational force is proportional to mass. 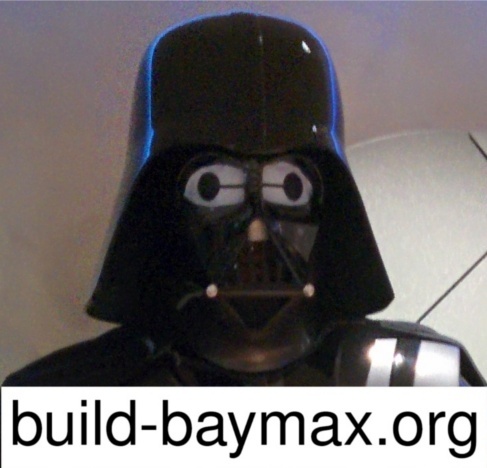 In all cases, reducing mass reduces impact and crush forces. 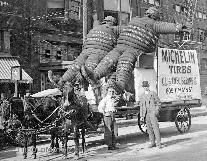 This is the justification for inflatable robots, which can be strong while still being very lightweight. 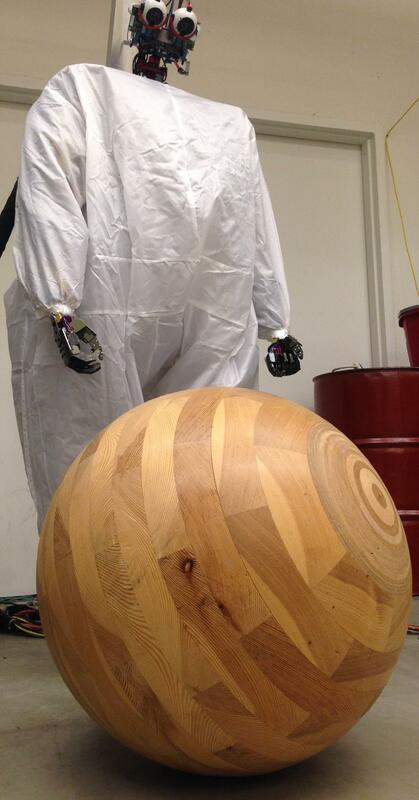 Inflatable robots are protected from liquids and gases by a skin or an outer membrane. 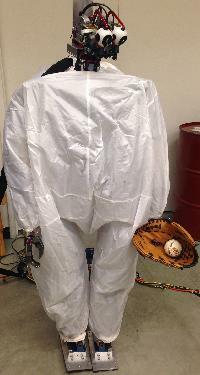 The positive pressure of inflatable suits also protect the wearer from contamination, as air leaks outward and blows contaminants away. Inflatable robots can handle bad weather, can be easily cleaned by hosing them off, and can be decontaminated similarly. 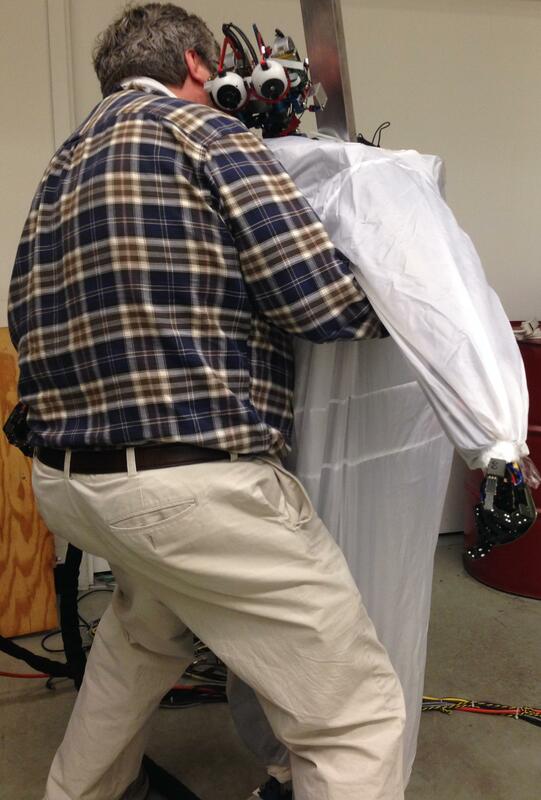 Inflatable robots can help people in the bath and shower, and in a swimming pool. Inflatable robots can safely clean up wet messes and change diapers. Thanks for your comment. I agree this is an issue that we need to be very careful about. 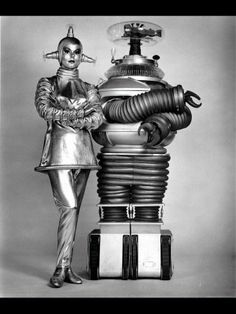 It may be that robots should wear clothes, and do laundry. 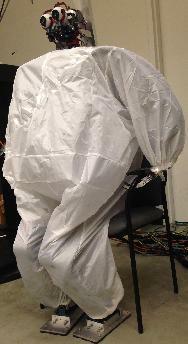 I expect inflatable robots that need to be decontaminated will have a flexible plastic skin similar to current biohazard suits. 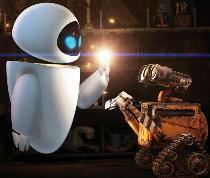 Both images are from Walt Disney Animation Studios. To demonstrate what a current day Baymax might be like, we used our Sarcos humanoid robot as a skeleton and added a lightweight inflatable suit. 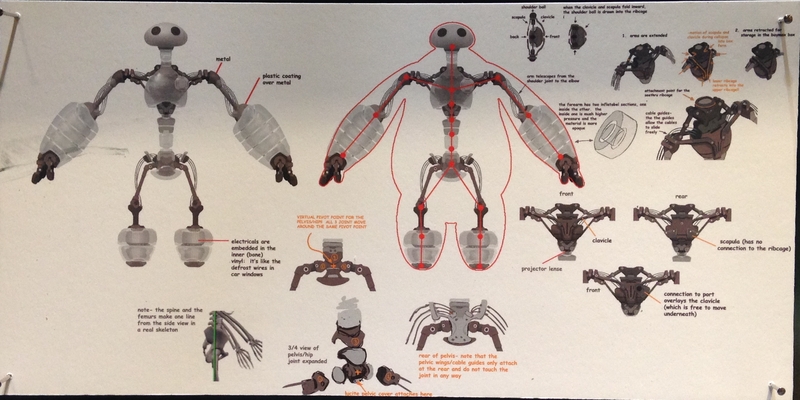 The photos below show the robot in various poses. 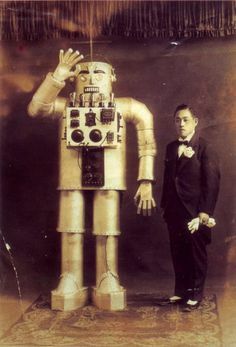 The robot is not powered up in these photos, as the skeleton is very strong and it is not safe to pose next to it when it is turned on. 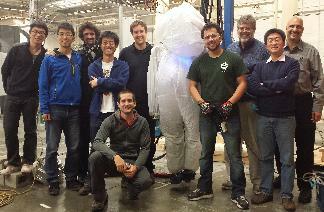 To build safe robots, we are working on inflatable robots with lightweight carbon fiber skeletons or no skeleton at all. 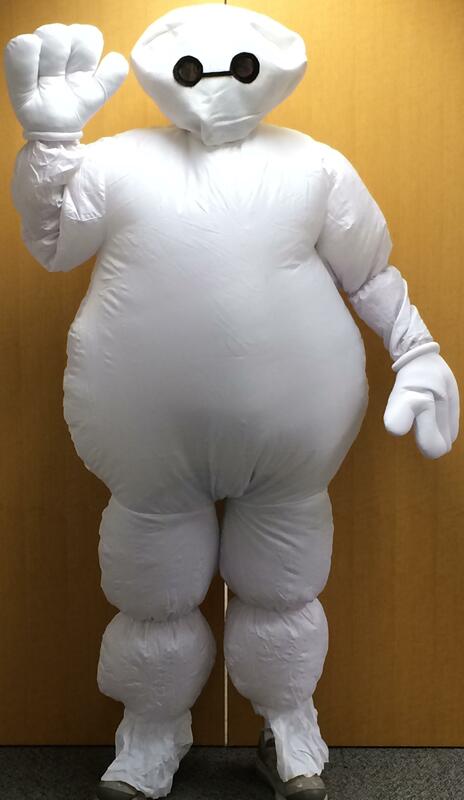 We also had too many leaks, so the suit is not fully inflated. Next time we do a photo shoot we will fix this problem. To see videos of this robot under power, take a look at Ben Stevens and Eric Whitman's web pages. These pictures brought to you by Akshara Rai and Jane Sun. 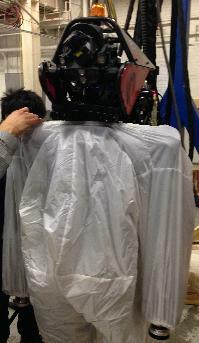 We also put an inflatable suit on our Atlas humanoid robot. 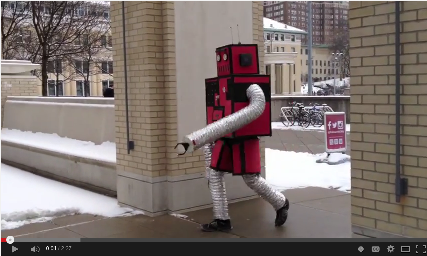 Here is a video showing it walking. We had to cover the head, blocking vision, to reduce air leaks in the inflatable suit. 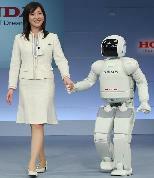 Since the robot is now blind, it walks into an obstacle at the end of the walk. 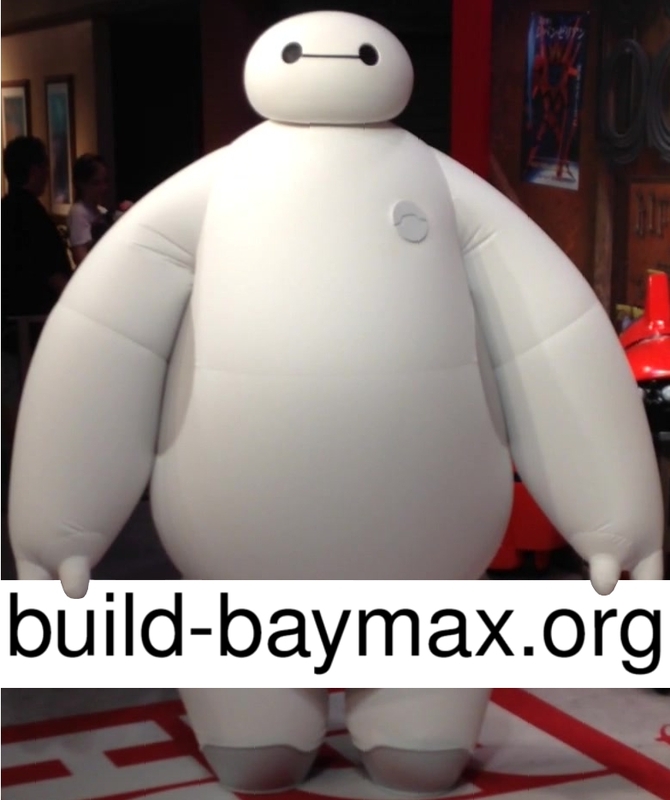 I believe the animators gave Baymax a hefty skeleton because in the movie Baymax carries heavy loads and withstands large impacts. They may also have felt a skeleton is necessary to cause the robot to move. From an animation point of view, it is also conceptually easier to specify the configuration of a deformable body if it has a skeleton with a finite number of joints, and the motion of the soft tissue is determined by the motion of the skeleton and external loads. How does an animator specify the configuration of an octopus or an elephants trunk to their computer, other than drawing completely the shape or the centerline of each limb? Another interesting question is how the octopus or elephant figures out how to activate their muscles to position their limb, but that is outside the scope of this web page. 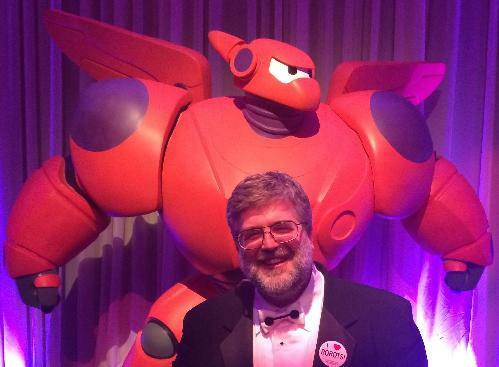 If large deformations of the robot are tolerable, no skeleton is necessary. 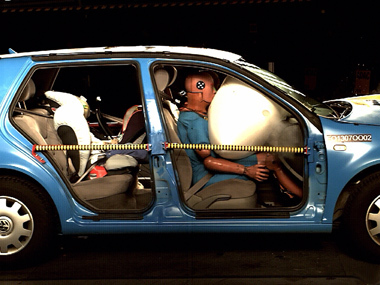 Air bags or inflatable jacks are used to lift cars, boats, and buildings, handling substantial loads. 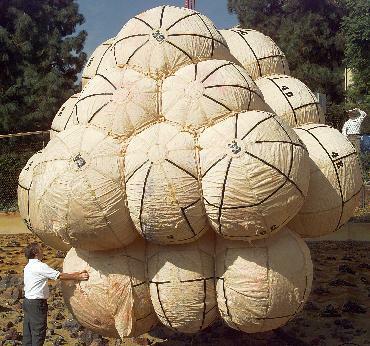 Air bags are used in cars and for landing on Mars, surviving large impacts. 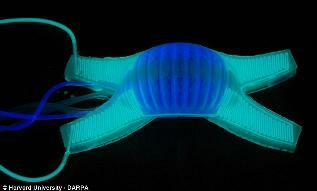 Robots can be made to move using inflatable bladders or compartments. 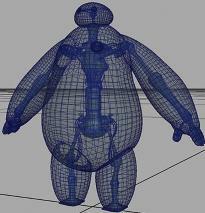 Unfortunately for animation, the animator now has to draw the complete body, rather than specify just the joint angles to the computer. It is difficult for an animator to conserve volume when drawing the body in many frames, for example. Most soft organisms do not change their volume much as they move (muscle contraction and breathing do lead to some volume changes). 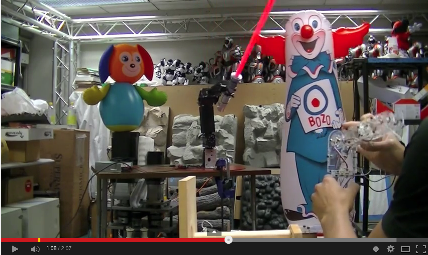 This video on handling impacts in a bounce house is very compelling! 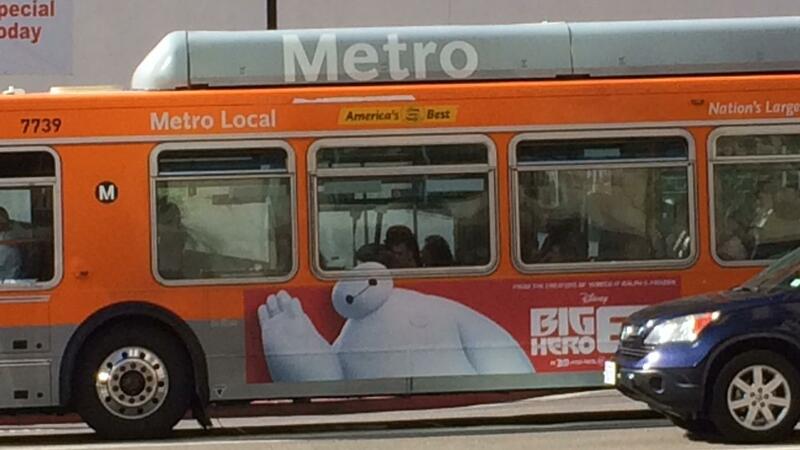 In the movie Big Hero 6 Baymax comes out of a suitcase. 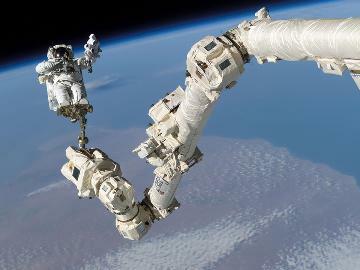 It could be done with a metal skeleton, but it would be much easier not to have one. I have heard suggestions that Baymax's skeleton is also inflatable, similar to the internal inflated structural supports of many inflatable buildings. 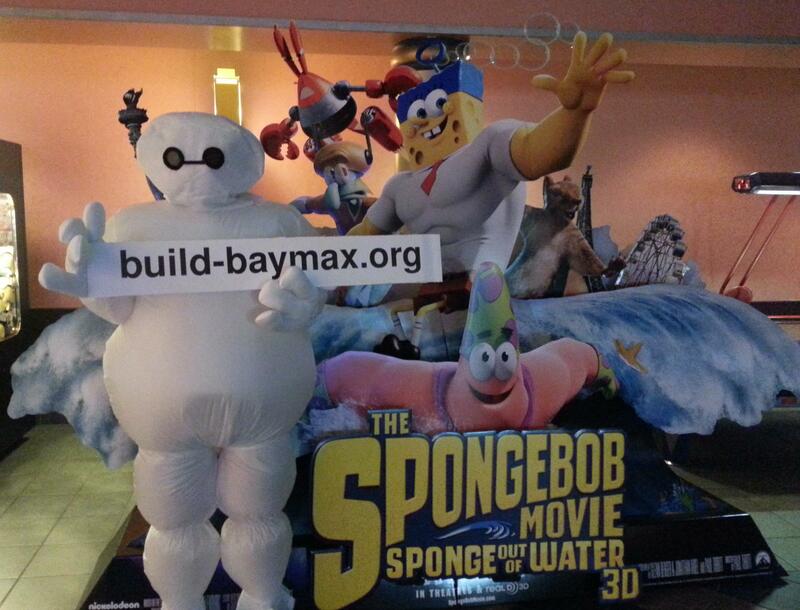 Baymax also bounces after he falls out of a window as if the robot was quite light. Again, this is easier without a heavy skeleton. The Sarcos skeleton weighs about 100kg = 220lbs, and the Atlas skeleton weighs about 150kg = 330lbs. 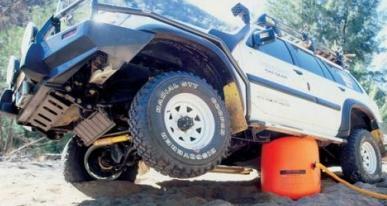 If you must have a skeleton, it should be lightweight. Below is a picture of a lightweight carbon fiber skeleton for an arm we built that will be covered by inflatable skin (similar to water wings or blood pressure cuffs covering the entire upper arm and forearm). 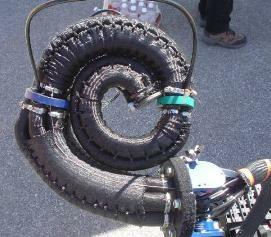 In this case the actuators are sections of inflatable tubing. 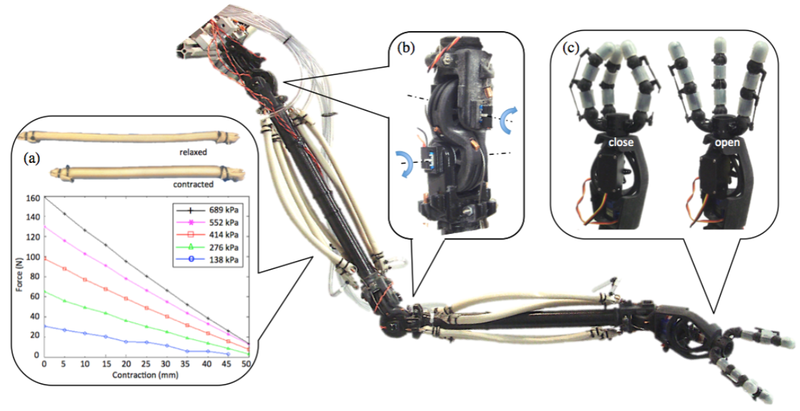 Lightweight carbon fiber skeleton: (a) Custom-built pneumatic artificial muscle and its actuation behavior. (b) Two degree of freedom joint used at both shoulder and elbow. 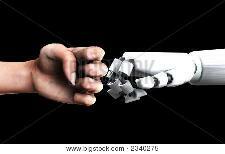 (c) Underactuated multi-fingered gripper with two degree of freedom wrist joint. 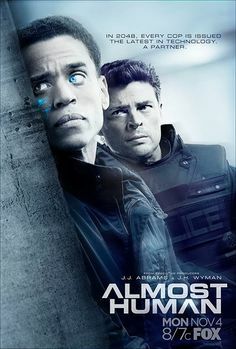 his patient without the chip? This is a very delicate and highly technical question. 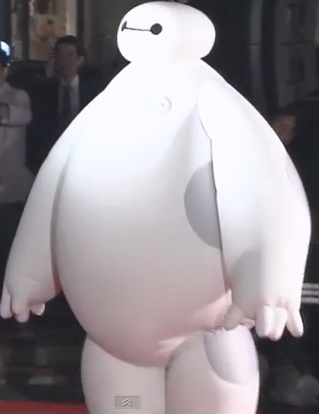 Earlier in the movie, the chip was removed, and Baymax continued to function. 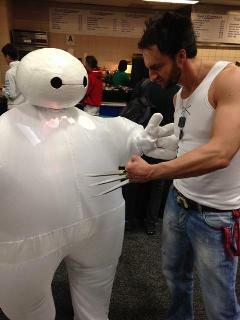 He answered the question "What is that? ": "It is my chip ..." So my interpretation is that the chip is what he boots off of, and saves data to for long term storage, but everything is copied to a RAM disk when he initially boots up. As his RAM file system is updated, it is copied to the chip, but the chip is not actually used after the boot sequence. This is how most computers will work in the future, as memory becomes very cheap. You will have a large RAM disk. We have to assume that the RAM disk is updated when a chip is inserted or removed (as when Hiro tries to get Baymax to kill the villain). Now I can sleep without worry. 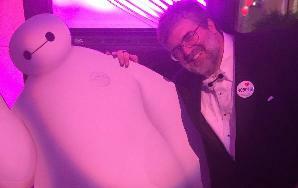 I am satisfied with my care. 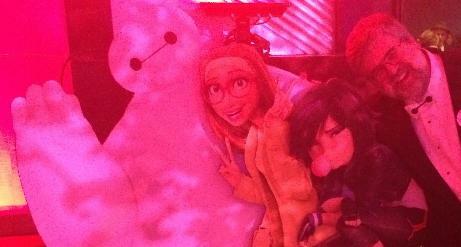 "The second half of Big Hero 6 is too robotic and generic a superhero exercise to corral and sustain the interest of grownups in attendance." 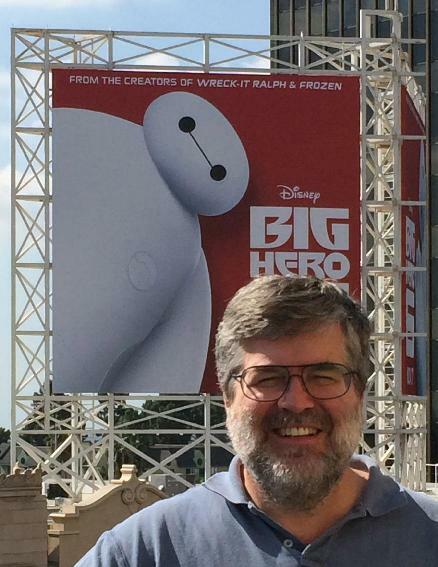 This is of course, ironic, in that this movie is changing the definition of robotic to mean surprising, cute, lovable, engaging, adorable, and all the other adjectives that have been applied to Baymax. Inflatable suits (also known as Positive Pressure Personnel/Protective suits) are used in movies to signal danger. 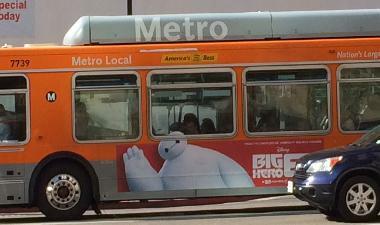 In Big Hero 6, the opposite effect is achieved. Our Region's Business: Video Segment. 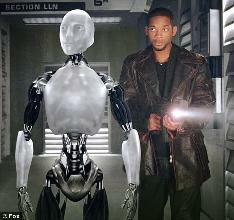 SinEmbargo.mx: Del cine al consultorio; cientificos desarrollan un robot "suave"
We entered through the gates of Babylon. Baymax will appear live at this theater. 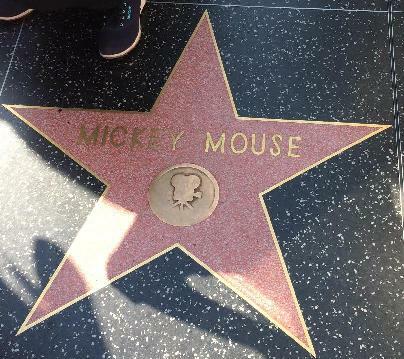 Someday Baymax will get his star. 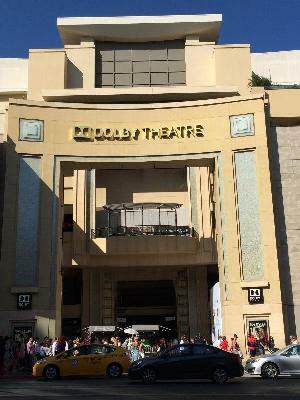 We walked where the Red Carpet for the Oscars is. 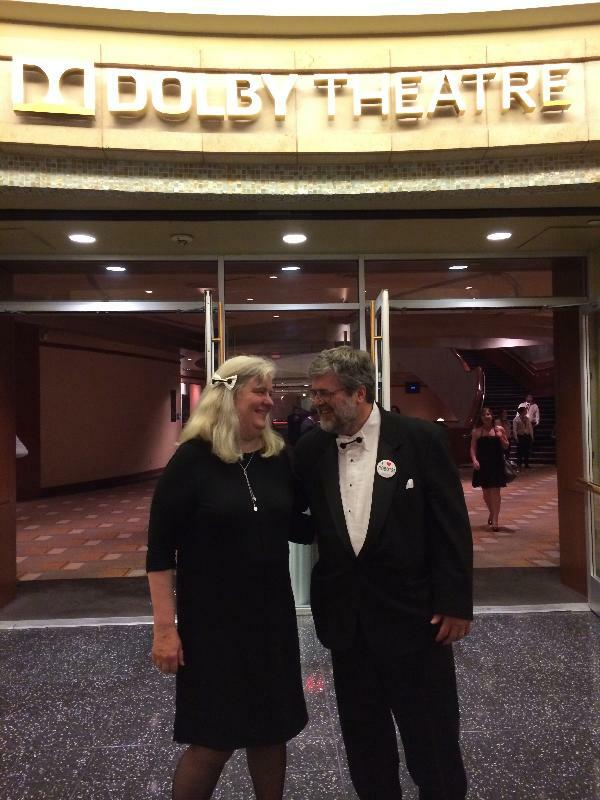 At the Dolby Theater (where the Oscars are given out) for the screening in our matching Baymax bow ties. 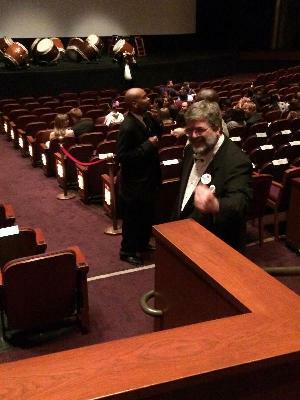 We were so excited we arrived an hour early for the screening! I tried to recreate the famous Oscars selfie with a complete stranger. At this point security stepped in. 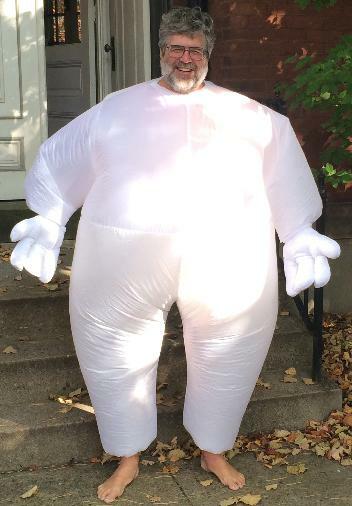 The transformation of a bag of air into a lovable character was amazing! 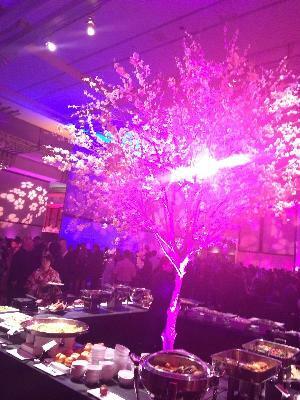 One of about 5 food stations. 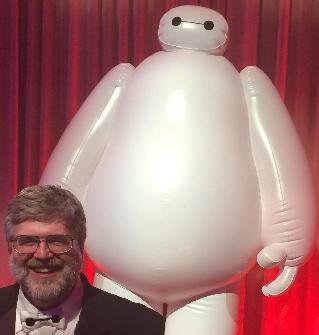 I ran into Baymax a couple times. 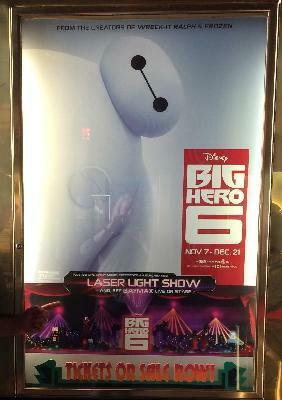 Life size illuminated posters of the six heroes. A group of us from the Robotics Institute went to a screening of Big Hero 6. 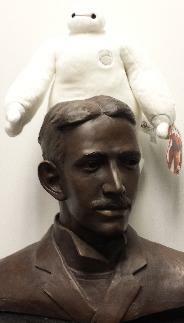 Baymax emerging from Tesla's head. 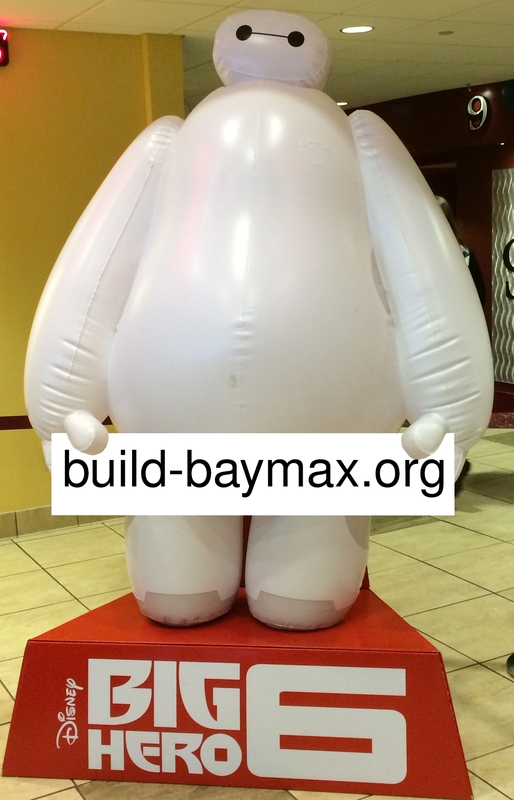 You can own a Baymax doll or action figure! 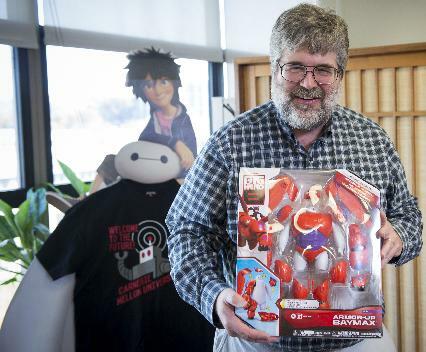 There are very few professors in the world who can say their research led to an action figure! I find the plush Baymax feels really comforting and calm. I press it against my head to relieve stress. I even sleep with it. 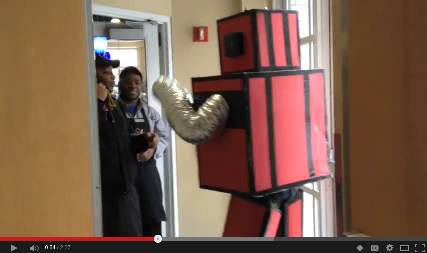 The CMU IDeATe Program and the Robotics Institute sponsored a photo/video/costume contest. 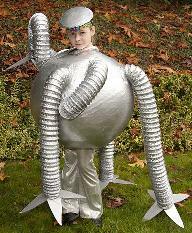 The theme of the contest was My Robot Friend. 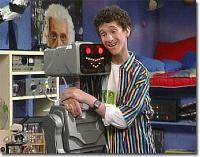 Contestants could submit photos and/or videos with the theme My Robot Friend. 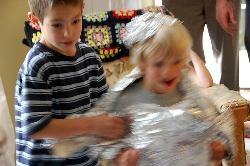 Pictures and videos could be of research or personal robots, imaginary robots or robot art, or a Halloween costume. 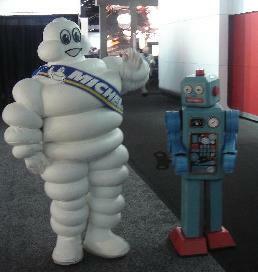 There were two categories: A) cute soft lovable huggable robots, and B) metal monsters. 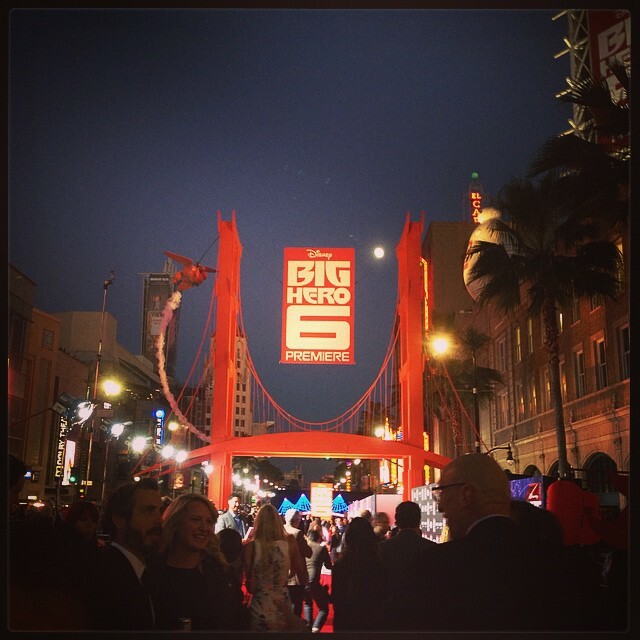 Winners got free tickets to Big Hero 6 during opening weekend. 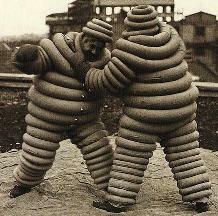 The rules were: Contestants retain all rights to their submissions. Multiple submissions are encouraged. All decisions by the judges are arbitrary and final. The rules can be changed at any moment. Contestants must be a resident of this galaxy. 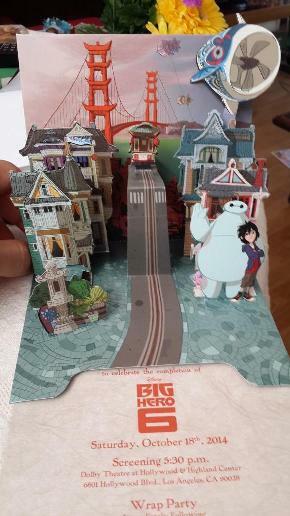 If you are not on planet Earth to see Big Hero 6 during opening weekend, your prize is forfeit. 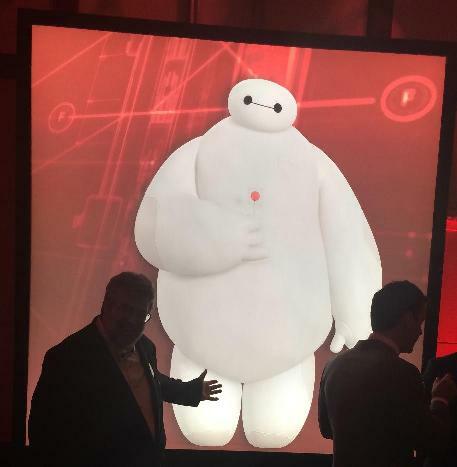 VIDEO: My Baymax screen test. This offer has expired, but take your robot to Big Hero 6 anyway. 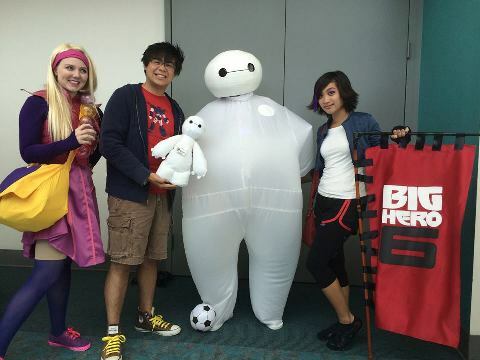 I will reimburse a ticket for any robot you take to the movie Big Hero 6 during opening weekend Nov 7-9. 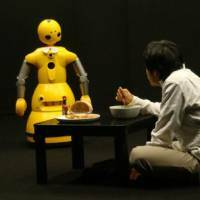 Please document your robot at the theater (in a seat or standing) and put the photo/video on the web (facebook, twitter (#cmurobotcontest), youtube (put CMUROBOTCONTEST in description), instagram, web page, ...) and send email to cga@cmu.edu with the URL by midnight Nov. 10 (in whatever time zone you prefer). 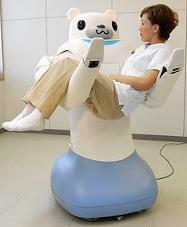 Robots must be too big to sit in your lap, and at one point must have been functional (no statues or toys). 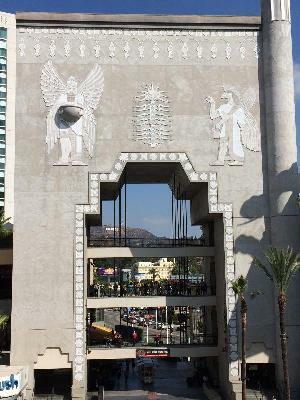 Contestants retain all rights to their submissions. All decisions by the judges are arbitrary and final. 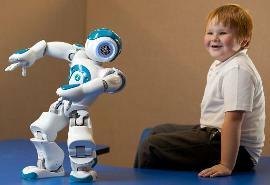 The decision of what constitutes a robot for purposes of this offer will be arbitrary and made by the judges. This offer is limited to the first 100 successful submissions.